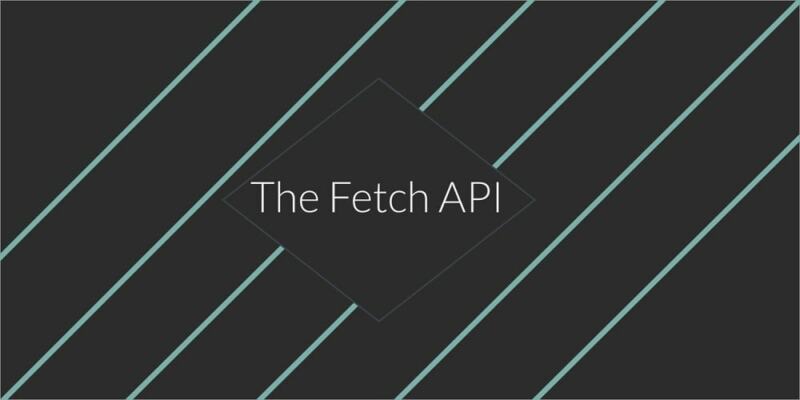 How do we use the Fetch API? The idea is to get all the data from the Random User API and display it in list items inside the author&apos;s list. clone() - As the method implies this method creates a clone of the response. redirect() - This method creates a new response but with a different URL. arrayBuffer() - In here we return a promise that resolves with an ArrayBuffer. formData() - Also returns a promise but one that resolves with FormData object. blob() - This is one resolves with a Blob. text() - In this case it resolves with a string. json() - Lastly we have the method to that resolves the promise with JSON. You can also define cache, mode and all those things you are used to defining in your POST requests. You can use the way you are most comfortable with to build your request object. While the Fetch API is not yet supported by all the browsers (currently Safari does not support it) it is the beautiful replacement for XMLHttpRequest we desperately needed in our life. There are also polyfills if you really want to use it in more professional projects. Sara Vieira is a Front-End Developer for Mindera in Portugal with a passion for everything front end related. She is also a drummer and a big time TV Show addict.